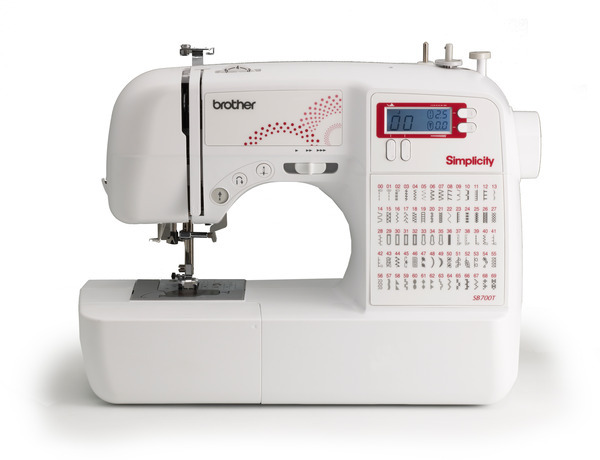 The SB700T "Simply Brilliant" is the third machine in the Simplicity by Brother series. Computerized machines offer many more stitches for a fraction of the price. 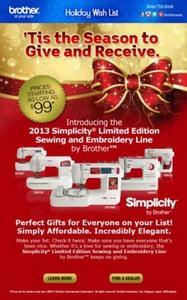 The SB700T "Simply Brilliant" is the third machine in the Simplicity by Brother series. Computerized machines offer many more stitches for a fraction of the price. 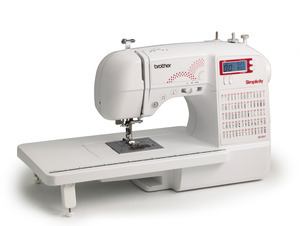 This machine features 70 Built in sewing stitches, with 7 styles of 1 step auto-size buttonhole. The simple push button stitch selector with backlit LCD screen allows you to select your stitch even more easily. Simply, this is the best mid level computerized sewing and quilting machine, created with you in mind! 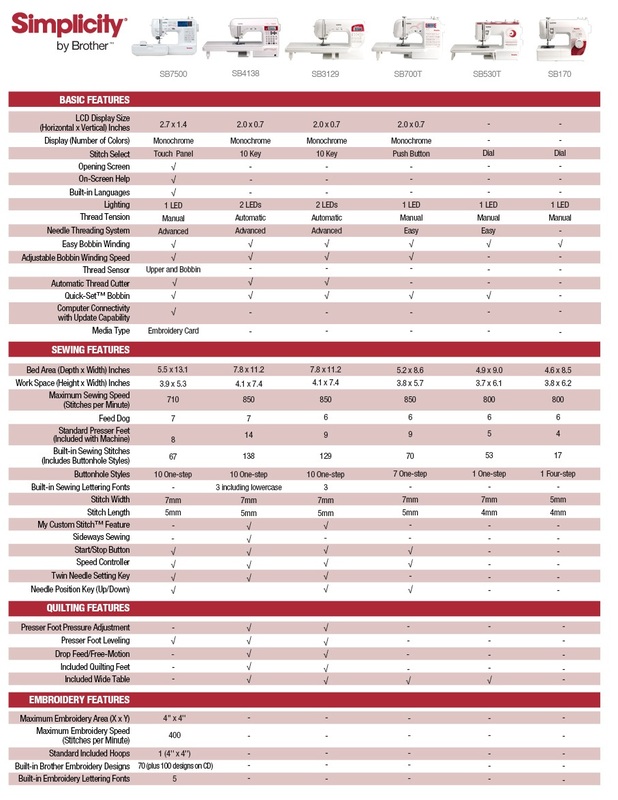 SewingInsight.com Review "One other great feature about the sewing machines in the Simplicity line is that you get a free Simplicity pattern with the purchase of certain models. In the case of the SB 700T, a free wedding gown pattern is included in every carton. If you are not planning to make a wedding gown, you can always use the pattern to make a special occasion dress in another color."